2018 Board from left to right: Kevin Konopacki, Andre Sayles, Mike Cummings (secretary), Terry Sheridan (past president), Randy Albert (president), Jason Laridaen (2nd vp), Chad Holum (1st vp), Brian Vaughn, Stacy Lentz, John Thomae, and Mike Williams (treasurer). Not pictured Lisa Kumbier. 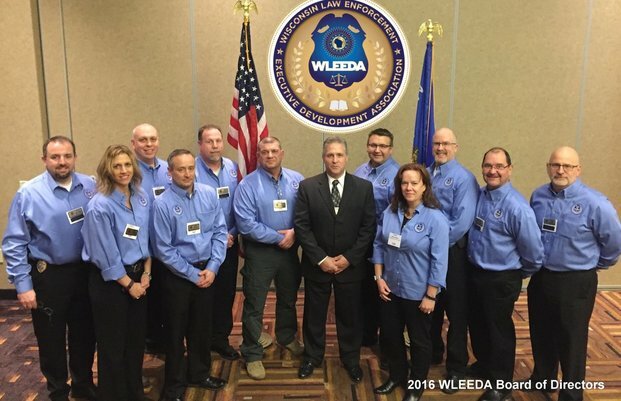 2017 Board from left to right: Rod Lehl (secretary), Mike Williams (treasurer), Lisa Kumbier, Brian Vaughn, Terry Sheridan (president), John Thomae, Randy Albert (1st vp), Jason Laridaen, Mike Cummings, Brian Ripplinger (past president), Chad Holum (2nd vp). Not pictured: Kevin Konopacki and Stacy Lentz.